In The Studio This Week: Our new business cards! #InTheStudioThisWeek we are over the moon following the arrival of our shiny (literally), new business cards! 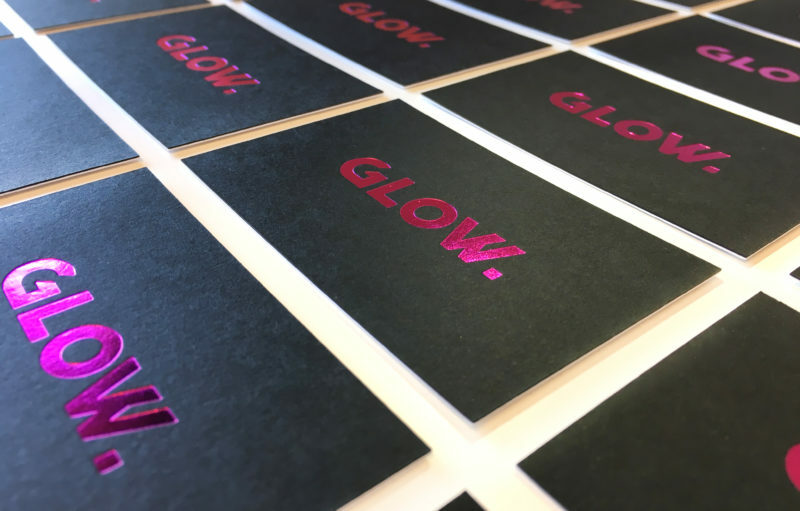 At the Glow Studio, we’re passionate about all things stationery. Luxury paper stocks, embossing, edge painting, and don’t even get us started on foiling. Having had the design in our back pockets for a few months, we’ve been waiting for the right time to get these into production! Since our rebrand, we’ve been living (and putting up with) our temporary, cheap, not to mention thin, and flimsy business cards. Although they were well designed and introduced our bright, new branding well, they didn’t reflect our love for print. As a creative studio, we think it’s important to show off not only our design skills, but the capabilities of our trusted suppliers. It also demonstrates how even the best of designs can be elevated simply by using a different paper stock or process finish. For our new business cards, we wanted something simple, sophisticated and that quite honestly, glowed. We chose a G.F Smith Colourplan (our favourite stock), duplex (meaning paper with a different colour or finish on each side) using Ebony and White Frost with printing to one side. To top it off, we went for an on-brand pink foiling on top of the black. I know we are biased, but we think they’re beautiful. When these arrived, it inspired us to look at all our past business cards prior to our rebrand. Having had quite a few temporary cards produced while we waited for the nicer ones to be delivered, it’s become quite an eclectic bunch! We’ve used a variety of different colours, finishes, layouts and formats. We can safely say, our new business cards are definitely our favourite. Although a close second are the square ones, until we heard that someone got the scissors out and trimmed one to fit in their holder – the horror! 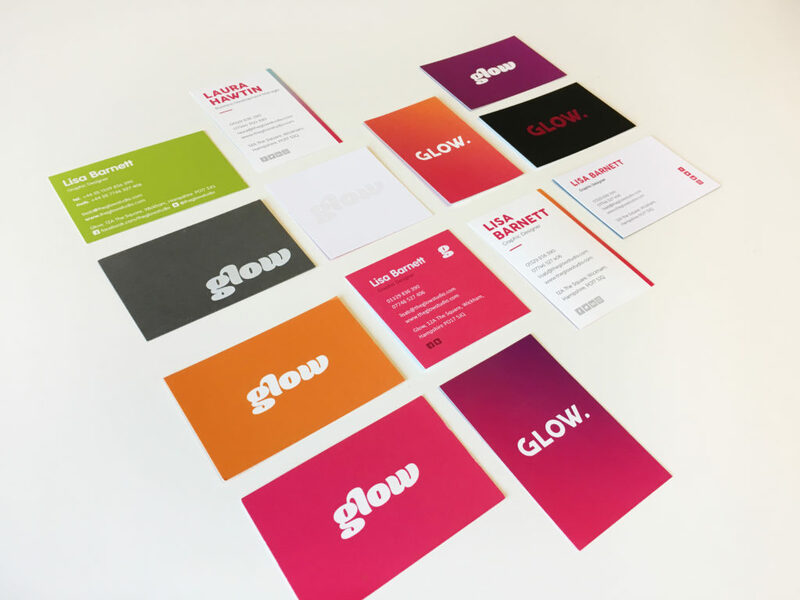 Give us a shout if you’d like to elevate your business cards to the next level – we have LOADS of examples to share with you.